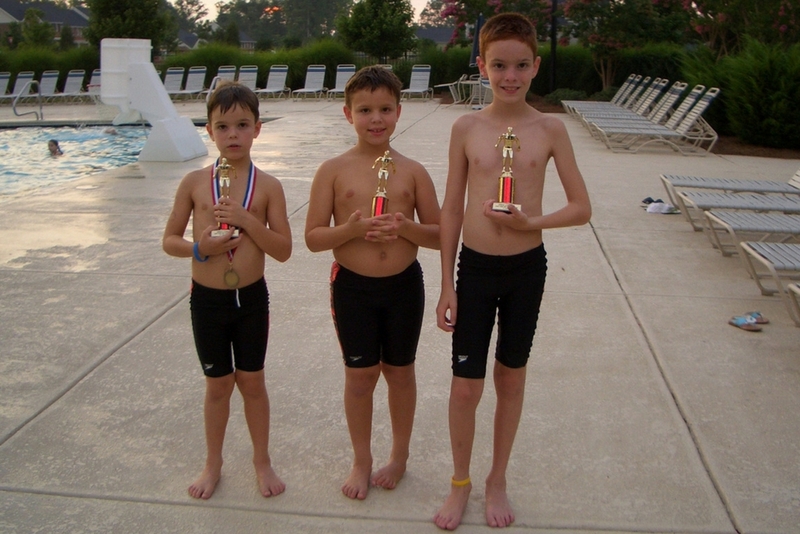 We became a “swim family” in Houston when our oldest son joined the neighborhood summer league team. Before long, the other two joined and we were all in. Although all three enjoyed it socially, it quickly became clear that only my youngest, Greg, was truly passionate about the sport. In fact, he begged to join a club team and swim year-round. I thought the commitment was crazy, especially for a 7-year-old, and I said no. The following year, he won the 25-yard backstroke in a summer regional championship meet and begged again to swim year-round. I finally relented, assuming he would lose interest as he did with soccer, T-ball, basketball, piano, chores, etc. Fast forward to now and he is already swimming in college as a junior. And, yes, the commitment and schedule have been crazy all these years! Once we joined a club team, I realized it was a whole different world. I did not understand the lingo – what on earth was a BB time? Which meets should I register for? What does it mean to qualify for Age Group Champs? What is a tech suit? I navigated my way through, wishing someone had created a handbook or even offered an info session to explain all of this to newbies. I also listened to the more seasoned parents discuss the sport. I was appalled at how competitive many of them were! They would watch practice and analyze their child’s behavior, as well as that of the other swimmers. I heard the statement “this will pay off when my child gets a full ride swimming in college” numerous times. I did not think much about that at the time as I was not expecting Greg to swim through middle school, let alone college! As he climbed the ranks and qualified for more competitive meets, I heard these comments more and more often. As 9-year-olds qualified for Age Group Champs, their parents were discussing the idea of college swimming. As 10-year-olds were placing in the Top 8 in the state, their parents were discussing which specific colleges their children might consider. It is great for kids to set goals. At age 11, Greg attended swim camp at University of Texas and decided he wanted to swim for them. He rocked UT apparel for the better part of 2 years. I did not realize what a pipe dream that was and how few kids would ever qualify to swim for UT! At the time, I just thought it was great for him to have a goal and I still believe that. As kids grow and their bodies change, as well as their commitment level, some of them are not placing at the top of the high level meets as they did when they were 10. Others plateau for a while until they hit a growth spurt. Many of their parents have trouble adjusting their own goals. They still expect their child to qualify to swim at the NCAA Division I major schools and are frustrated when that looks unlikely. They put more pressure on their child to perform which never helps the swimming or the relationship. I watched all of this occur with kids older than Greg and was determined not to fall into this cycle. He wanted to swim in college, although he had periods of time when he plateaued and was not sure that was his goal anymore. My only requirement was that he think it through thoroughly if he decided to quit swimming. It could not be an impulse decision based on a hard training cycle or a difficult coach. By his freshman to sophomore year in high school, he was very focused on swimming in college and knew he wanted to pursue it. I had been through the process of helping my two older sons conduct college searches at schools all over the country but adding athlete recruiting to the process was daunting. There seemed to be much confusion about the entire process, realistic goals, how to contact college coaches, the timing, etc. There are services you can hire but we were not in a financial position to do so and I felt that we should be able to conduct the search ourselves with a little guidance. Club swimming coaches are typically helpful and will speak to college coaches on your behalf, but they will not conduct the actual search for you and should not be expected to. I could not find a straightforward guide anywhere so I pieced it together by spending gazillions of hours searching the internet and creating spreadsheets, asking parents of kids who were swimming in college, reading articles, and absorbing everything I could find. The recruiting process had many ups and downs. Greg went on four official visits which were an eye-opening experience in many ways. He received offers from three of the schools. Many people told him this was the best time of his life – there were days when we would have definitely disputed that as it was very stressful! Once he committed, we breathed a sigh of relief. As I looked back over the process, I again wished I had a roadmap to guide me through the process. Thus, College Swimming Guide was born. I will walk you through the steps through regular information feeds and timelines of action items. I will cover the process of researching colleges and conferences, things to consider, how/when to contact college coaches and what to say, how to schedule visits, questions to ask of coaches, NCAA requirements, and much more. I will also give you lists of the colleges with swim programs in each conference and spreadsheets which detail the times required to place in each event at all college championship meets. I will conduct Q&A webinars and you can join my Facebook Private Group where you can ask questions and join discussions with fellow swim parents. 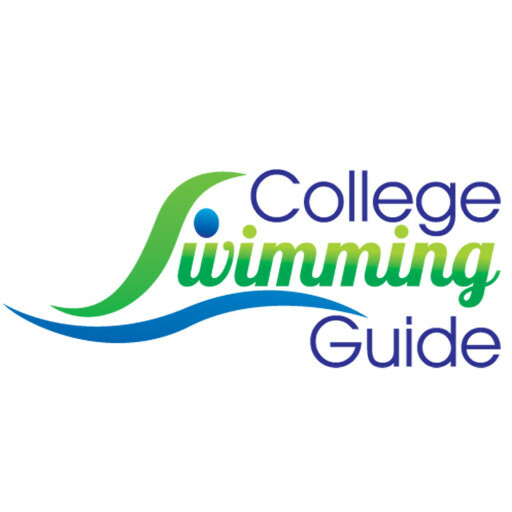 I recently added a Directory of College Swim Programs which includes academic information for all colleges with swim programs as well as responses from college swim questions to 15 questions ranging from when they prefer that swimmers contact them to what they’re looking for in a potential recruit. Throughout the year, I will send you information and links letting you know what to do and, most importantly, when to do it in order to guide you every step of the way. I spent years figuring this out and I am able to present it in a nice, neat format so you are not frustrated and do not have to recreate the wheel. Together, we will make sure you and your swimmer have the skills, knowledge, and confidence to successfully navigate the journey of college recruiting. Michelle Lombana is committed to helping parents like her whose children want to swim in college. When she’s not working on swim time spreadsheets, she can be found at www.collegeswimmingguide.com.